Made this the day I went walking with Carol Leigh. Popped it a bit in Topaz Adjust. There's a lot to see here but I think the placement of the woman and her forward motion toward the right that gives the eye something to look toward, then away from, then back again before wandering around in all the colorful buildings. Is she getting lots in the competing background? Is the sky too burned out? Maybe. 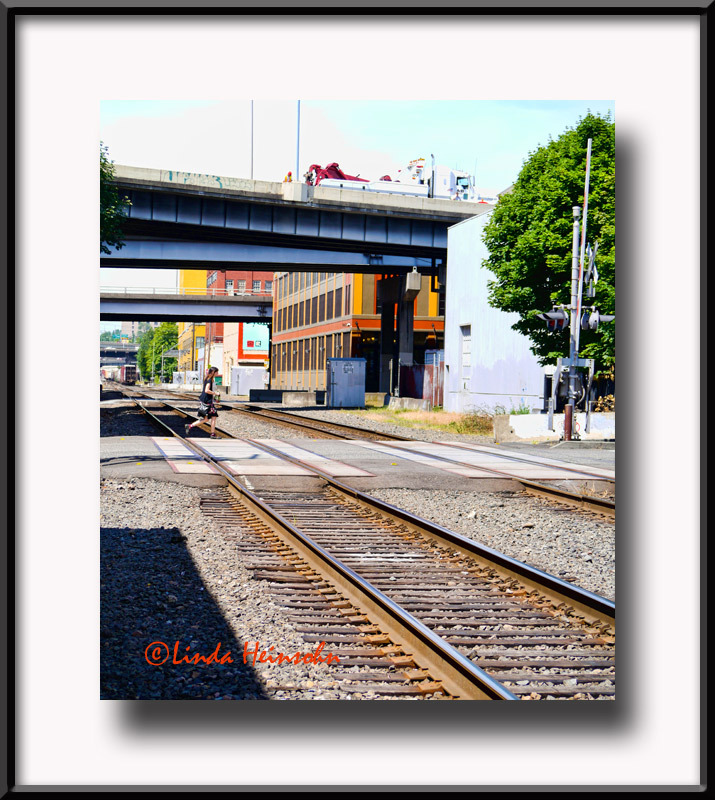 But I still like the colors and the horizontal elements of the overpasses, especially when contrasted with the converging lines of the RR tracks. There's a freshness to the scene that I find appealing. Yes, I agree the woman is too small to be a subject of worth in the shot. At the time, I was wishing I could slow down time or her or speed me up to make her a bigger element of the photo. But I loved the building colors and the tree and the rusty tracks so I made the pic into "art" anyway.